DIXFIELD, ME — U.S. 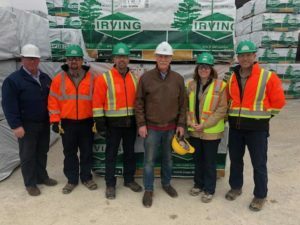 Senator Angus King (I-Maine) today met with employees at the Irving Sawmill in Dixfield to discuss ways to continue to grow Maine’s forest economy, bolster the workforce, and support the state’s rural communities. Irving’s Sawmill in Dixfield is the fourth largest sawmill in Maine and provides about 280 good jobs for men and women in western Maine. Senator King has worked to promote and grow Maine’s rural economy during his first term in the Senate. In April 2017, he outlined strategies to modernize and expand Maine’s workforce and bolster the forest economy in his rural economic agenda. He helped spearhead the creation of a public-private partnership to grow and diversify Maine’s forest industry. The resulting effort — an interagency Economic Development Assessment Team — has committed millions of dollars to grow Maine’s forest industry and rural economy. 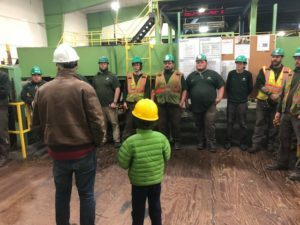 The visit to the Irving Sawmill in Dixfield is part of Senator King’s greater outreach to Maine people during Get Out the Vote to ensure they are excited to exercise their right to vote on election day.